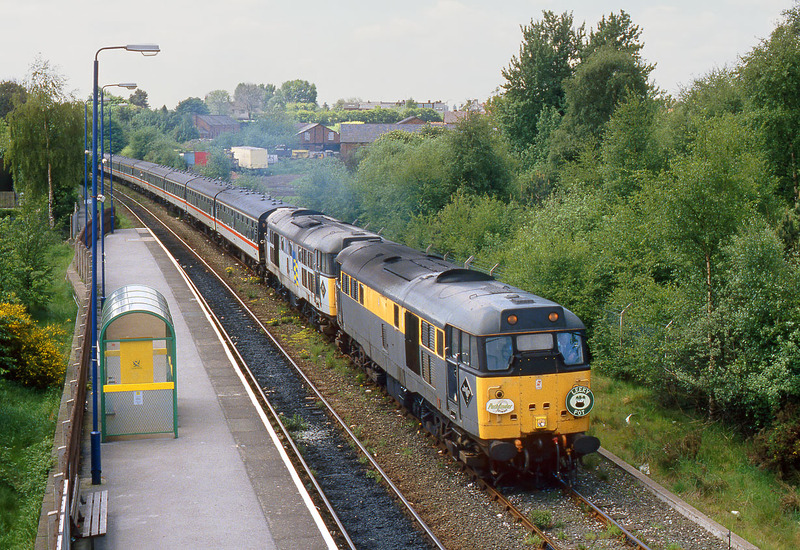 31145 & 31302 pass through Hednesford station on 28 May 1994 with the Pathfinder Tours 1Z18 07:58 Bristol Temple Meads to Caldon Low 'Leeky Pot' railtour. The station later acquired a second platform, when the passenger service was extended to Rugeley Town. The line reopened to passengers in 1989, after having been initially closed in 1965.